Hey everyone! Hope you had a great New Year’s Eve and that 2014 is treating you well so far. I took a few days off over the holidays to spend time with friends and do some serious cooking and crafting, which will be seeing over the upcoming weeks in some great recipe/DIY blogs. In this post I’m teaching you a pretty basic recipe to make an infused simple syrup, which just happens to create a delicious bi-product of candied whatever. In this case my whatevers are organic ginger and Buddha’s Hand. Though widely known in Asia it is virtually unknown in the West, Buddha’s Hand is a very unique fragrant citron with no actual meat, it is 100% pith and zest. The flavor and scent are reminiscent of a lemon mixed with roses or some other flower. It can be a little pricey, but it is definitely worth it for this recipe which yields a dual benefit for one single hand. Note: It is possible to make a cannabis infused simple syrup through this method but I have never tried it and question if it really works. I have found many recipes, including in Culture magazine, but without any fat I question what the cannabinoids bind to. I have tried medicated honey sold at the dispensary I work for and it certainly works, but I am utterly clueless on the science behind it. You Will Need: Water, sugar, and whatever you want to infuse the syrup with (options include: citrus fruit, mint, lavender). Recipes range in a 1-1 to a 1-2 water-sugar ratio, that means that if you use 1 cup of water use at least 1 cup of sugar potentially up to 2 cups. 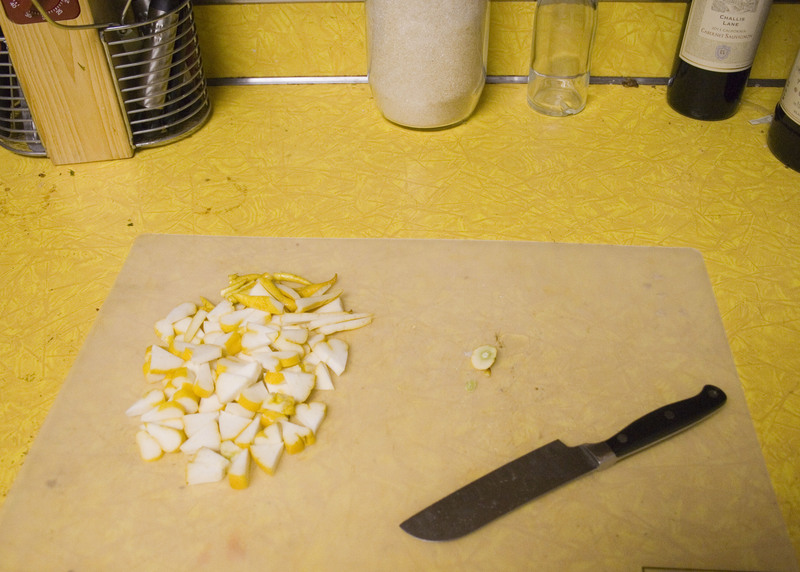 Step 1: Prepare the Buddha’s Hand and ginger by chopping them up. I would recommend chunks no bigger than your pinkie fingernail for best candying of harder things like ginger. I left the ginger in larger disks and it did not cook through and was barely edible due to the residual intense burning. I tend to use as low amount of sugar as possible to make it render into a syrup, if you use too little sugar it won’t get syrupy and will stay runny. I personally don’t mind runner syrup with a lower sugar content. Note: If using ginger it is crucially important to peel it first, for most other things, like citrus, you want the rind for flavor. 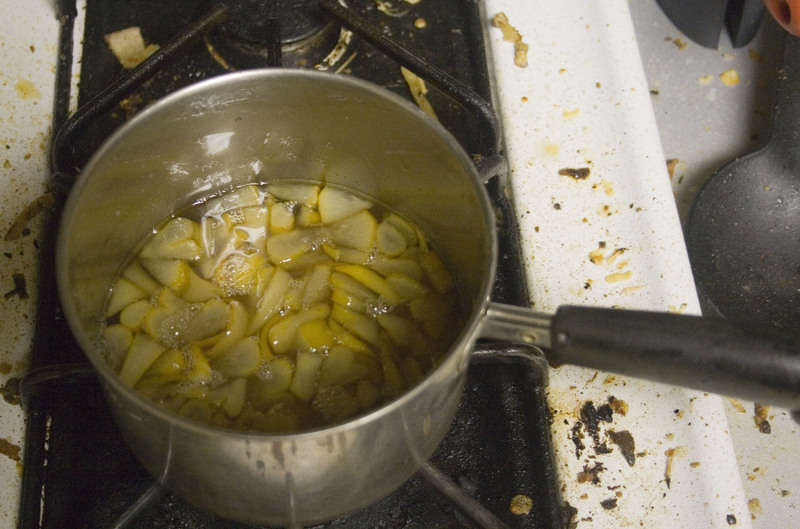 Step 2: Combine the water with Buddha’s Hand/ginger/whatever and begin to cook on high heat. Add the sugar once it begins to get hot and stir frequently. 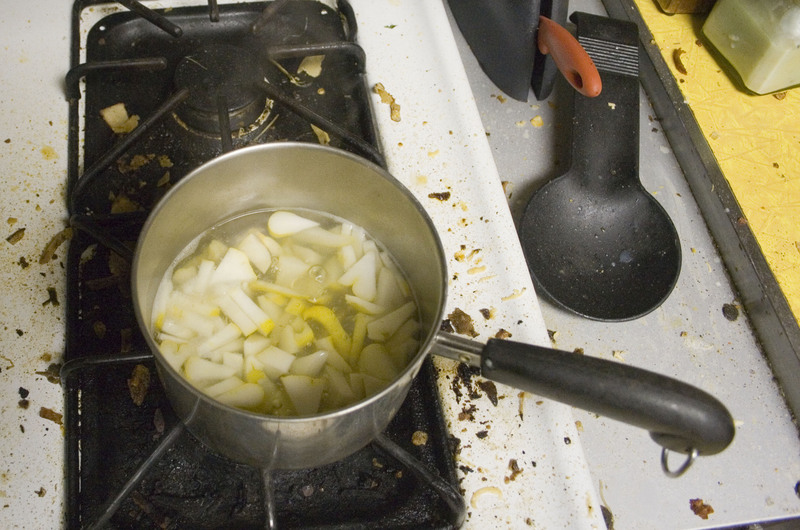 Step 3: Bring to a boil continuing to stir frequently and keeping a close watch on it. 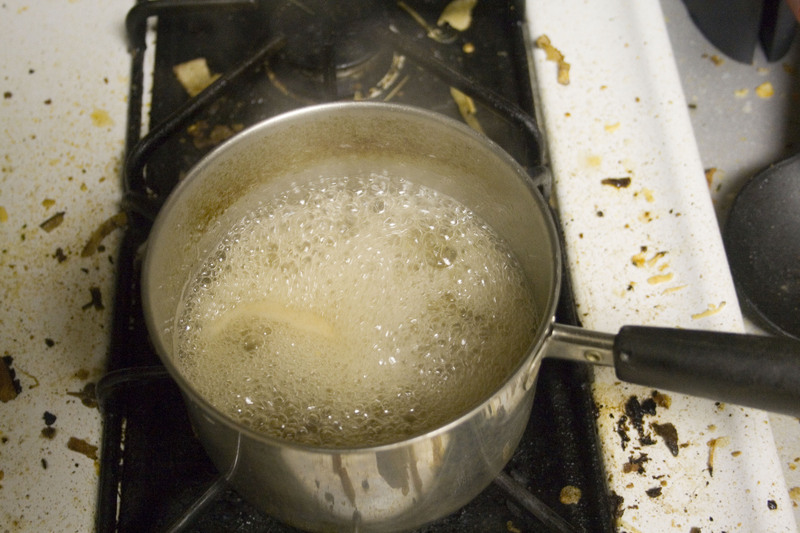 It will boil over if you don’t stir it enough. Leave it uncovered so liquid evaporates, helping the thickening process. 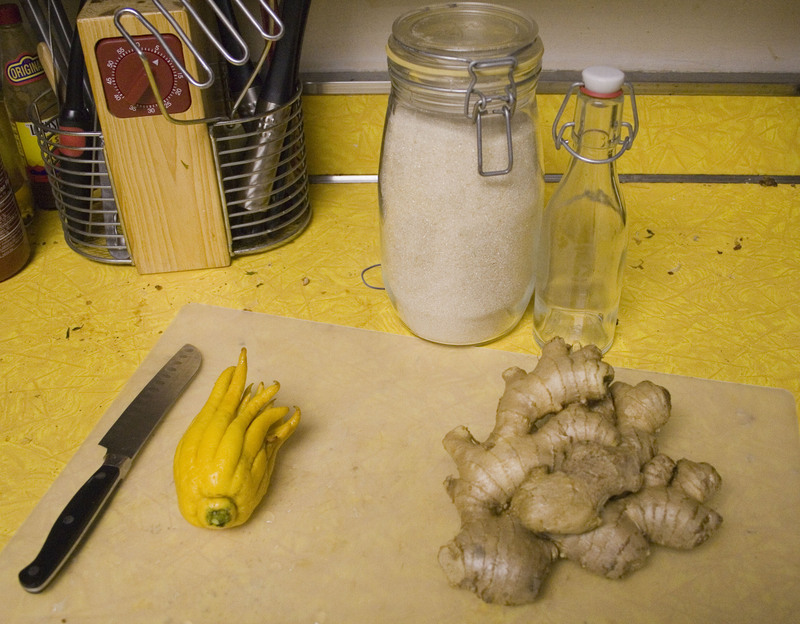 Step 4: Cook until the Buddha’s Hand is translucent, for the ginger cook until it becomes tender. 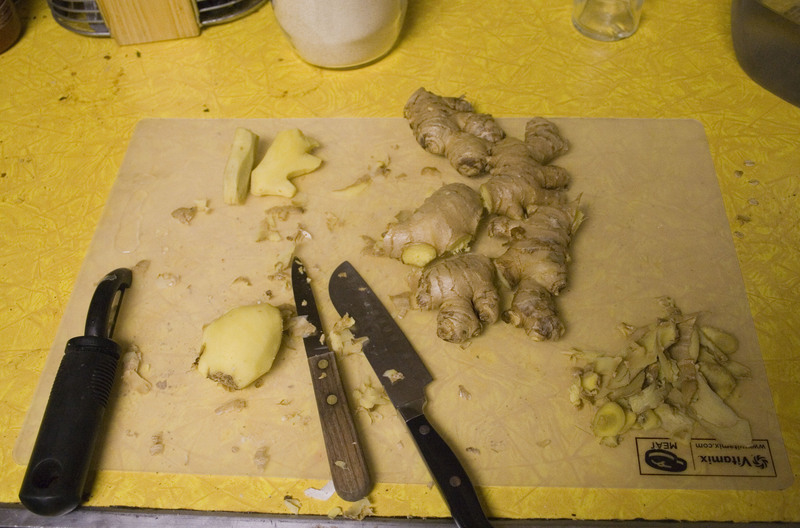 The ginger will take a lot more cooking, especially if you leave it in huge chunks like I did. Step 5: Strain the chunks out of the syrup using a metal strainer; I never use plastic for hot things as a rule because plastic melts and might leach toxins into your food. Strainers with prongs like this one are awesome because they rest on the lip of the container you are draining your syrup into. 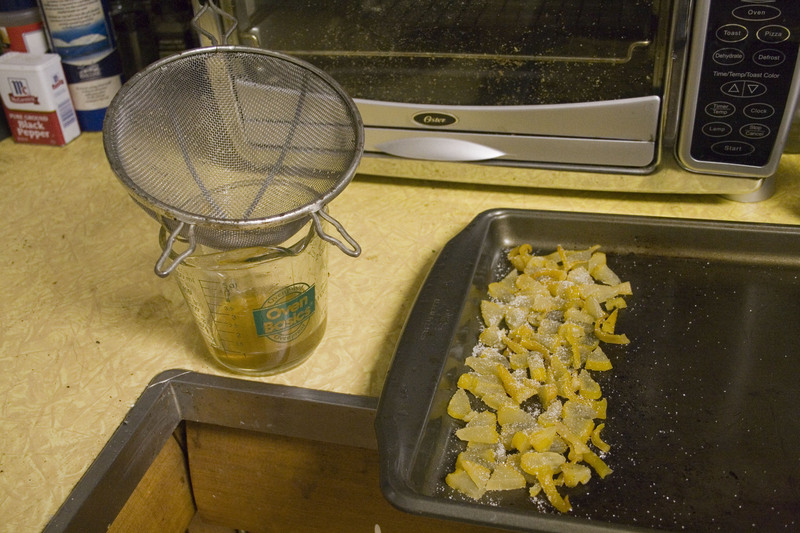 Step 6: Separate the syrup into its final container and the candied Buddha’s Hand/ginger onto a cookie sheet. 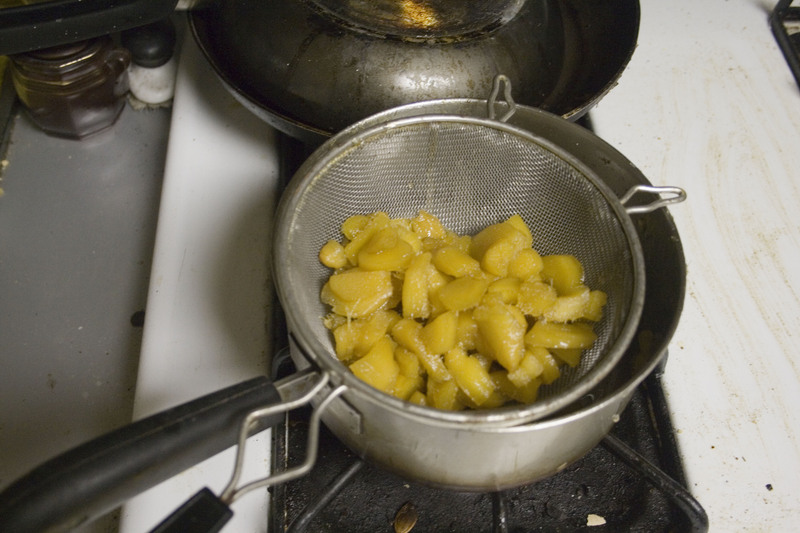 Sprinkle sugar all over the still wet and syrupy chunks then let them dry overnight. Place the syrup into the fridge to let it thicken over night. Voila, come morning you will have both candy and syrup. Uses for the candy include fruit cake, cookies, and other baking projects (or just eating with your hand). Uses for the simple syrup include cocktails, waffles, and in the case of my flaming strong ginger syrup as a cough syrup. Get creative with these. I’ve used the ginger simple syrup for making homemade ginger/tangerine triple sec (hint hint, might be a future blog post here).